Construction began in September 2017 and was substantially completed in August 2018. 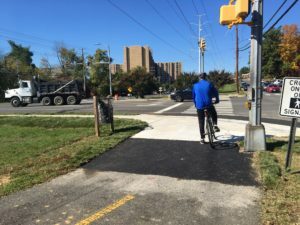 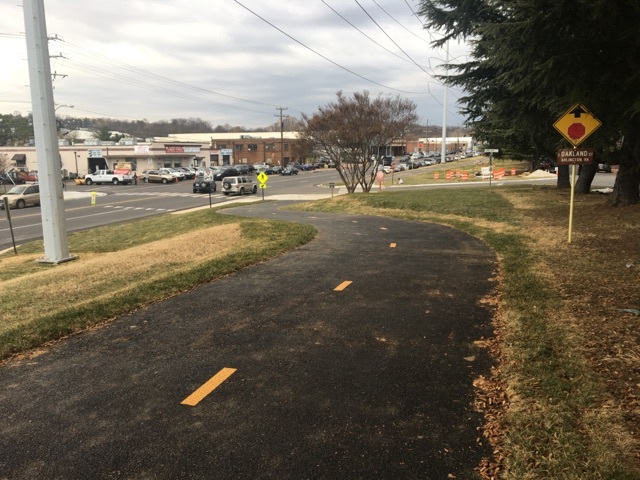 This project was implemented under the same contract as the Custis Trail Improvements project. 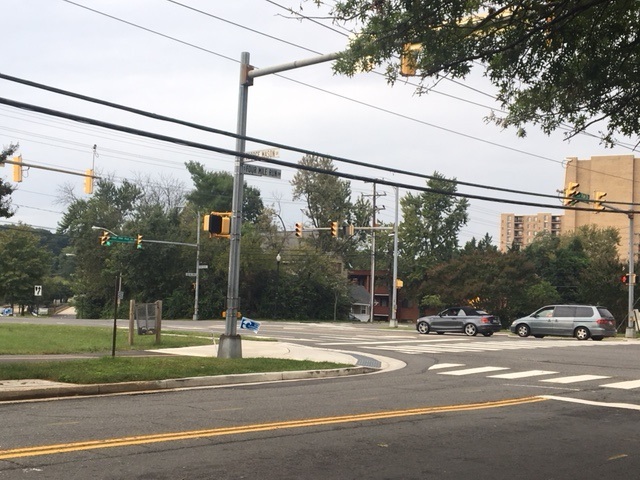 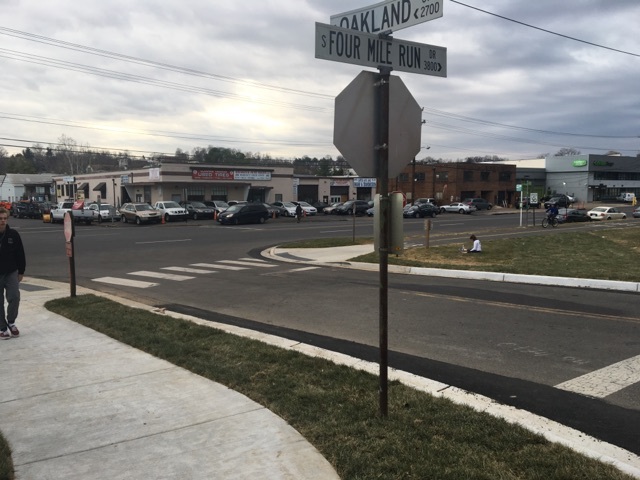 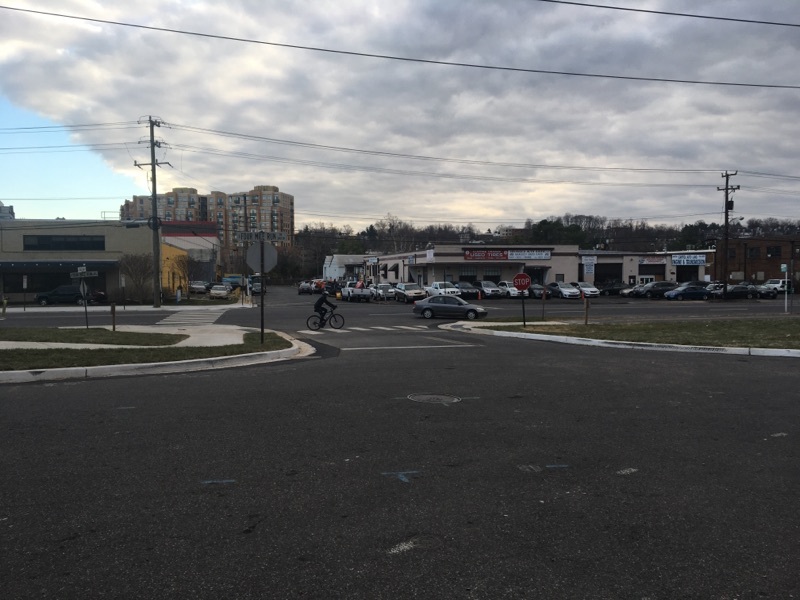 This project will provide safety improvements at three intersections along the W&OD Trail near South Four Mile Run Drive, including South George Mason Drive, the signalized entrance to Barcroft Sports Complex and South Oakland Street. 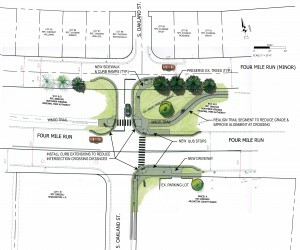 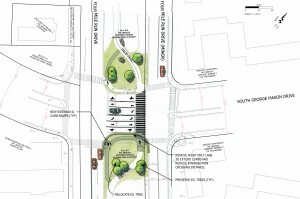 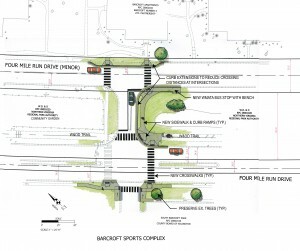 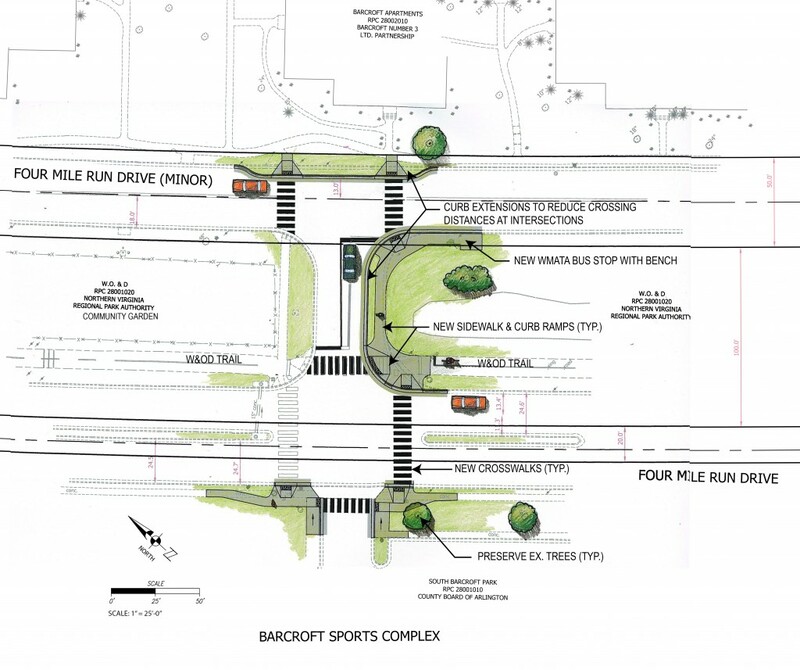 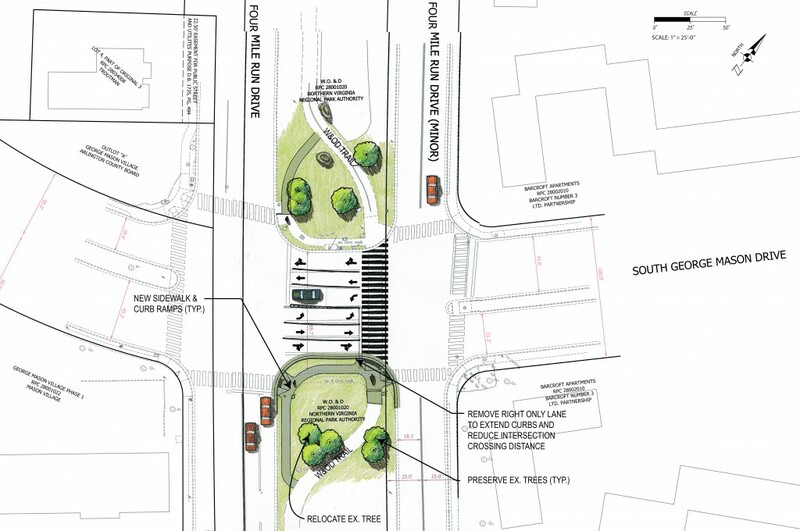 In July 2014, initial notification letters were sent to the Bicycle Advisory Committee and civic associations that are adjacent to the project areas. 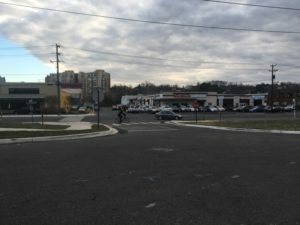 In February 2015, letters were sent to civic associations, residents and property owners adjacent to the project areas to update and notify them of Arlington County's willingness to hold a public hearing. 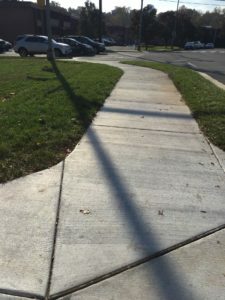 A few residents submitted questions and concerns about the project, and staff responded to them individually. 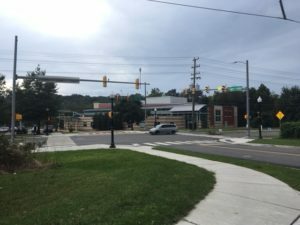 No requests were received for a public hearing and the willingness period is now closed.